In the Port of Rotterdam, the secretary of union FN Havens, Niek Stam, hopes that the current strike will bring the operators back to the negotiating table. If not, more strikes will follow, he tells ShippingWatch. 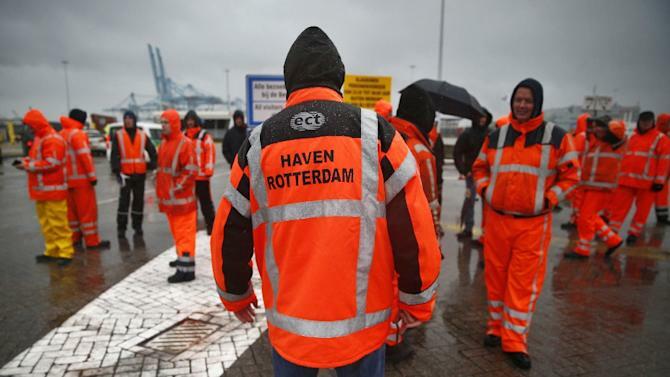 While the first 24-hour strike in 13 years is currently paralyzing the Port of Rotterdam, Niek Stam, head of the port workers’ union FN Havens, hopes that the terminal operators will return to the negotiating table on the union’s terms. The first step has already been taken. Niek Stam explains that the union in the afternoon of January 7th, after the strike had been launched, was invited to an informal meeting by the Rotterdam port authority, which is looking to explore the possibilities of getting port workers and operators, including APM Terminals, to resume the negotiations. But Niek Stam does not rule out the possibility of more strikes hitting the Port of Rotterdam.